Aqua on the Levee is a luxury, waterfront apartment building with stunning views of downtown Cincinnati. Many of the residents have dogs and were in need of a place where they could take them to do their business and get some off-leash exercise. 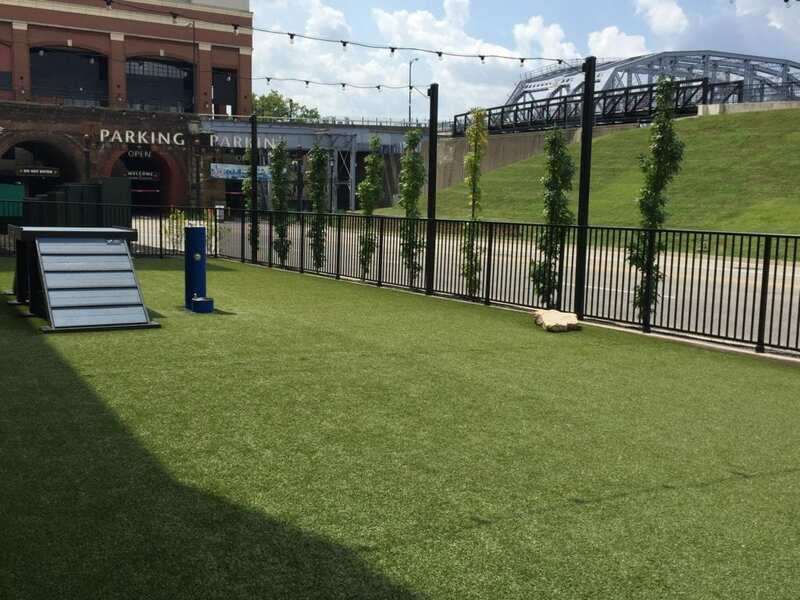 K9Grass® was chosen by the architect of the project, and the ForeverLawn of Ohio team was called on for the installation of 1,950 square feet of K9Grass Classic to create this perfect courtyard doggy play area. 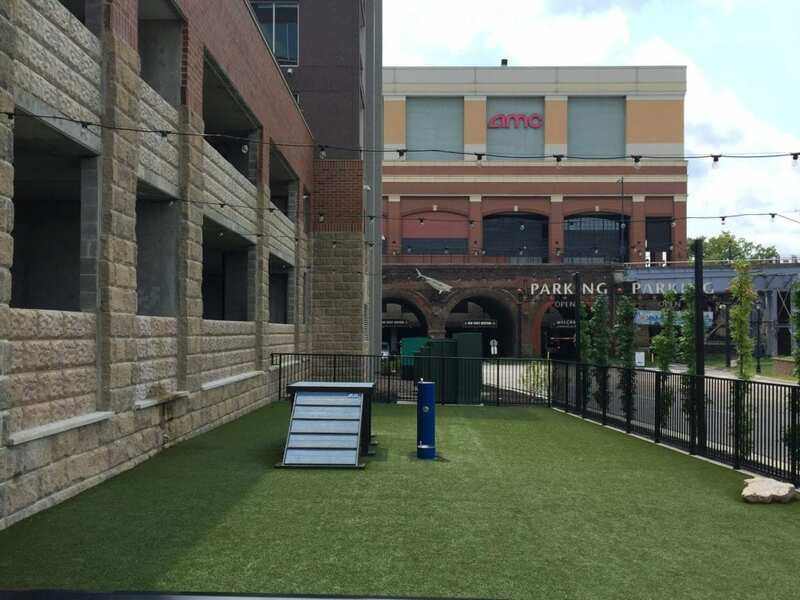 K9Grass provides a safe, clean, and dry surface for the dogs to run around on, and the apartment building staff don’t have to worry about muddy paws walking through the building. Copyright © 2019 ForeverLawn of Ohio, Inc. All Rights Reserved.